Belize is known for its beautiful vistas and world-class scuba diving and snorkeling. However, this diverse country also attracts travelers looking to discover the culture and history of not only the landscape but the people who have lived and worked the land for thousands of years. 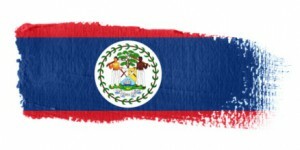 Belize is truly a melting pot of different cultures, developed by hundreds of years of history throughout the country. You may encounter locals from all different backgrounds, but some of the more common are influenced by Kriol, Spanish, Mayan, Mestizo, Garinagu and a mixture of various other ethnicities due to its global location. Regardless of what background locals come from, the majority of Belizeans are also influenced by local culture as a whole, which can be seen in their courteous and friendly nature as well as in the types of food seen across the country. With each cultural background comes a unique palate for food from Spanish-inspired spice to German or Asian-inspired cuisine. Much of the food is also influenced by native culture and history. Different areas are further influenced by their location and the available ingredients, whether through fresh seafood in areas like San Pedro on Ambergris Caye to more local fruits and vegetables on the mainland. This diversity allows you to sample a wide variety of food from city to city and even restaurant to restaurant. There's something for everyone, whether you're just visiting Belize on vacation or relocating to the country. The many traditions and ethnicities throughout the country create a calendar full of celebrations and festivals that contribute to the overall culture and diversity in Belize. The local Garifunans population especially has a deep history set in belief, rituals and tradition, and it's not uncommon to experience masquerades on the street complete with local music and traditional dances. Other popular local festivals include Fiesta de Carnaval, Benque Viejo Del Carmen Fiesta and the San Pedro International Costa Maya Festival. Belize attracts many history lovers, especially those interested in the Mayan culture. In fact, it is the Mayans who laid the groundwork for much of the core culture throughout the country. No trip to Belize is complete without a trip to one of the many remaining Mayan ruins with sites like Xunantunich, Caracol and Altun Ha topping the list. It's fairly easy and affordable to book an adventure tour that includes a visit to one or more of these sites, especially if you're staying in larger cities like Belize City or San Ignacio. Whatever your reasons for visiting Belize, it's difficult to explore this beautiful country without experiencing the culture and diversity of Belize. Whether it's by trekking through ancient Mayan ruins or chatting with a friendly local restaurant or shop owner, this diverse country will continue to draw you back time and time again.